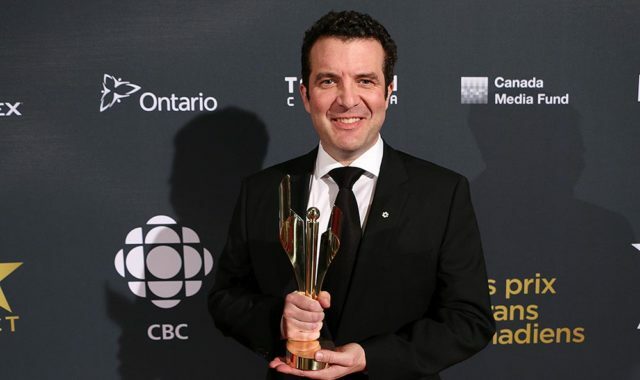 Rick Mercer with his 2015 Canadian Screen Award. Photo © 2015 by R.A.Lucas. Used with permission. Rick Mercer is the recipient of the prestigious Sir Peter Ustinov Award, presented to him during the 2003 Banff Television Festival. He joins such past recipients as the late John Candy, Barry Humphries, Bob Newhart, Martin Short, Tracey Ullman, Kelsey Grammer and John Cleese. 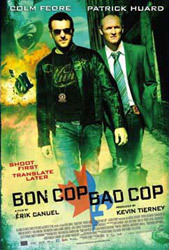 The Rick Mercer Report was the recipient of the coveted Rose d’Or Award for Comedy in 2009. He was given ACTRA Toronto’s Award of Excellence in 2012. In 2013 Rick Mercer was given a Canadian Screen Award for Best Performance in a Variety or Sketch Comedy Program or Series for The Rick Mercer Report. At the 2018 Canadian Screen Awards, The Rick Mercer Report was presented with the Academy Icon Award. Also see: Last John Drainie Awards. Also see: Rick Mercer Calls it Quits.